HRBP for the partner shares the responsibility for the goals and targets delivery. The HRBP identifies and prepares development plans for the key employees and high potential employees. The partner identifies employees ready for the promotion and rotates best talents across different functions in the organization. The business partner is a member of the management team of the internal staff. The partner actively supports discussions and transfers best practices from different functions in the organization. The partner takes over the leadership in the people management area and acts as the facilitator for the management team. Head Office, Phnom Penh, (1 post). Performs local human resources reference through collection information and analyst staff’s issue, complaints, and staff’s enquiries to properly and timely respond according to human resource policies, procedures, and guideline and proposal to line manager and provincial Manager. Involves in human resource process recruitment, training, ER, Staff motilities/promotion, and transfer to ensure consistency, transparency and fairness. Does exit interview with pre-resign and all resigned staff to collect actual main reason of leaving for analysis and properly report and proposal of action taking of provincial Manager. Perform task through follow up staff movements, staff to be completed probation staff resign and terminate and other staff documents to timely and fully comply with human resource policy. Collects, monitors, reviews and analyst discussion result of staff with providing consultation to relevant stakeholders on time and effectiveness. Builds a strong business relationship with the internal Staff. Work at an operational level with multiple stakeholders. Deal with complex or sensitive day to day people management issues. initiatives and as a senior generalist you will advise, guide and support all staff and managers in the bank; providing high level people management and development support across the bank. Bachelor degree in Human Resource Management, public administration or related fields. 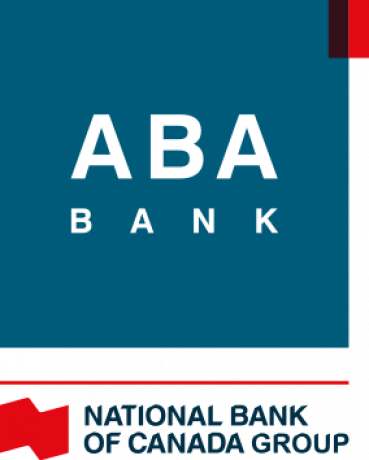 Willing to travel to ABA Branches in the province. Minimum three years of experience in human resource management, resolving complex employee relations issues. Working knowledge of multiple human resource disciplines, including compensation practices, organizational diagnosis, employee and union relations, diversity, performance management, and federal and state respective employment laws. Knowledge of Cambodian Labor law and rules. Very good in presentation and communication skills. Good analytical and Problem Solving Skills and creative thinking skill. High quality of attention to details and accuracy. Ability to work effectively independently and in a team as required. Good in written and oral communication skills.